I'm a retired old guy who loves to share my thoughts, views and opinions on a variety of subjects ranging from politics to social issues. Warning, I'm a bit liberal though,but please join me. In just a few weeks the 2014 midterm elections will take place. I have on the whole been ignoring them, as I have been preoccupied with Kevin getting his Green Card. Another reason I have not paid much attention to them and written a blog post is that the campaign rhetoric has been totally disgusting from both sides. What I do know is that in the past 2 years absolutely nothing has been done by this bunch of good for nothing, extremely partisan, hate filled, racist, Koch brother bought and paid for politicians in Congress! Looking at some of the predictions of who will control the House and Senate I just had to break my silence and post something. Ever since Obama was reelected for a second term, the Republicans have vowed to destroy him. 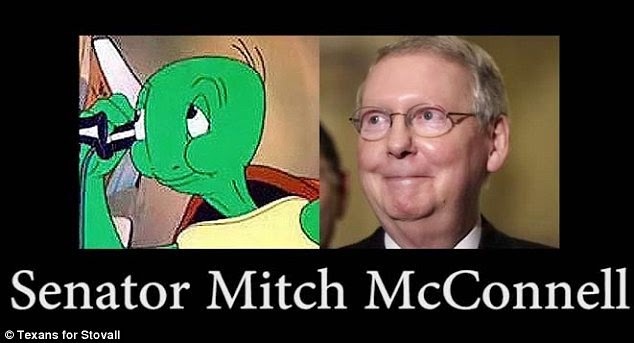 In an October 23, 2010 interview with the National Journal, Sen. Mitch McConnell, the Senate Minority leader stated, " The single most important thing we want to achieve is for President Obama to be a one-term president." This present congress has spent most of its time trying to repeal or gut the Affordable Healthcare Act, trying to impeach Obama or trying to sue him. They have done absolutely nothing to help the middle class, the unemployed, the poor, working men and women, students under tons of student debt or to address the ever growing income equality. There have been zero jobs plans emanating from Congress. The Republicans have offered nothing, except for suing Obama. In all of the recent polls the favorability of Congress is extremely low. According to a Gallup Poll from September 2014 the favorability rating was 14%. This same poll puts Obama at a favorability rating at 40%. In all of the polls those people being polled say that the present Senate and House of Representatives do not deserve reelection. To the normal, intelligent sane person this would mean that there would most likely be big changes ahead with the midterm election. Oh how wrong can one be? The recent polls show that basically the makeup of the House of Representative will be the same after the election and there is a possibility that the Senate will be taken over by the Republicans. The same Republicans who did nothing in this congressional term.Those same Conservative Republicans, who blocked any legislation to help the poor and middle class, will be reelected by those same poor and middle class people being kept down by them.! The millions of poor people in the Red states who are now being covered by Obamacare are going to vote for those same people who want to take that healthcare insurance away from them! Those millions of people in the Red states who are receiving food stamps are going to vote for the same politicians who want to take food stamps away from them! It is interesting to note that the Red states receive the most welfare benefits and pay the least in federal taxes. Also 9 out of 10 of the poorest states are Red states with Republican governors! The unemployment rate in the country has dropped to the lowest level in 6 years and the Federal deficit has dropped to the lowest level in 6 years. These are two facts that have been clouded over by the hateful and revengeful antics of the Republicans in Congress, who say the economy is worse. Unfortunately the very people who need help are being brainwashed by the media, especially the fantasy news of Fox News, which blames Obama for every bad situation since the fall of the Roman Empire. I have little or no faith in the American electorate, especially in the Right Wing religious South. They are not bright enough to realize the harm they are doing to themselves at the hands of the political morons they continue to elect and reelect. They cannot see that they are getting poorer as their representatives in congress and their rich supporters are getting richer! They will have only themselves to blame for their plight. Thank you Elle. I appreciate your support. Visit Retirement-Online to learn more about the process of retirement and hear from real retirees on their thoughts of all things retirement.